It was really great to get out recently for some on feet work, which to be honest I don't get as much time as I would like for. 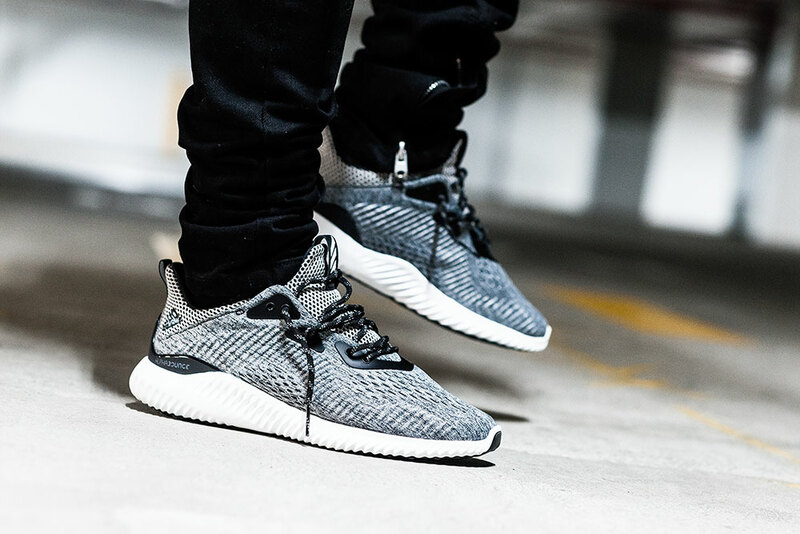 I was especially happy to shoot these Adidas AlphaBOUNCE Grey sneakers. 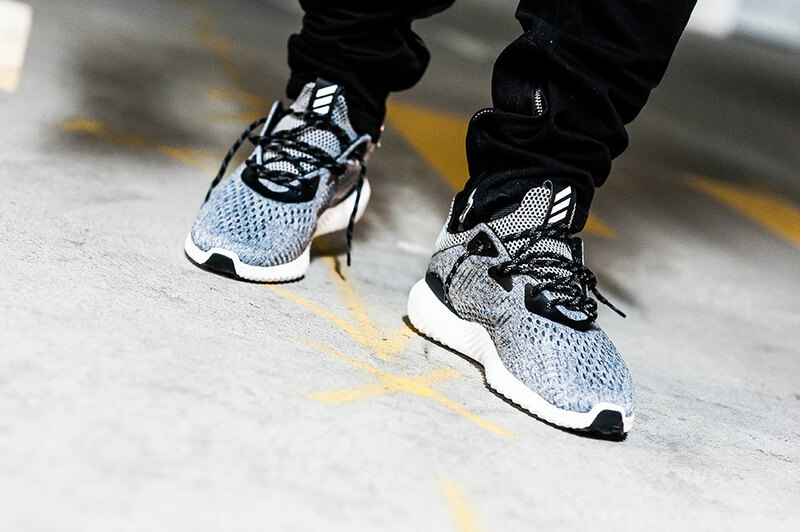 With the hype that surrounds Boosts, NMDs, HU and Zeezys these days it is easier to lose sight of a lot of the other great work Adidas put out. These would firmly sit in that category as you never really hear much about them. 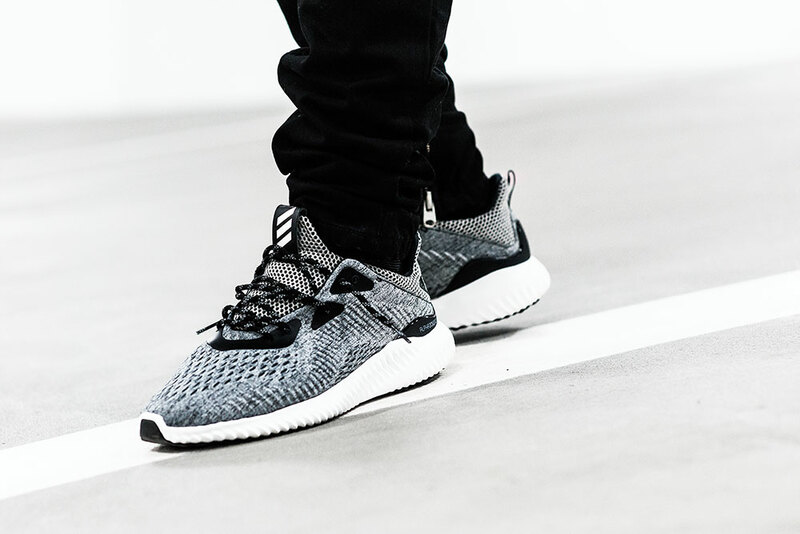 I can say though they are a solid all round sneaker, they offer much more structural support than a lot of the other low profile Adidas futuristic sneakers, which is great if you intend on using them as an all purpose runner. They would be equally at home on the treadmill, or pounding the streets. Super comfy and for me I actually really love the style. The flow through of the raised sections on the midsole to the upper is a really nice touch. 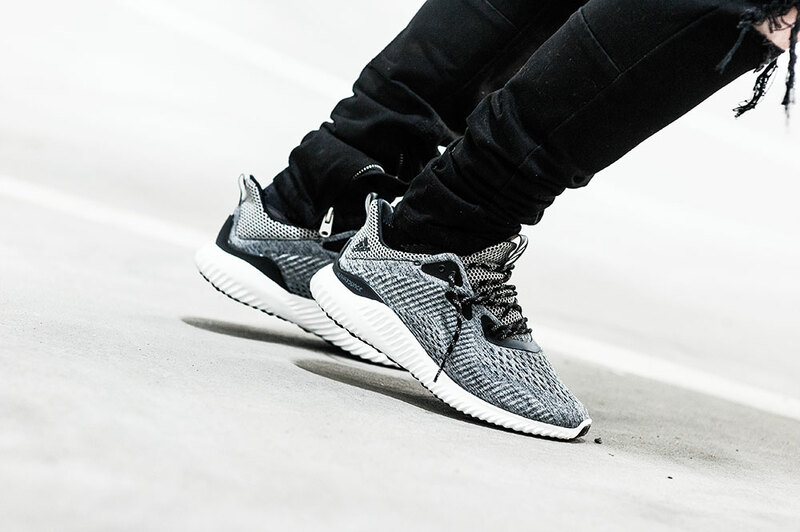 That vibration style wave is a real signature of this shoe, it gives a real sense of flow and shape to the shoe as well as creating a unique point of interest. The shape is pretty spot on too. It did get me thinking about sneakers and hype. I wonder if Kanye were to wear a pair of these with some frequency what would happen to their stock. We have already seen it with the Karhu Fusion 2.0, for the most part a massively underrated shoe. Then Kanye chucks a pair on and suddently everyone is frothing. Incidentally I have been a massive advocate for Karhu in particular the Fusion 2.0, which is my go to model, so definitely check them out. 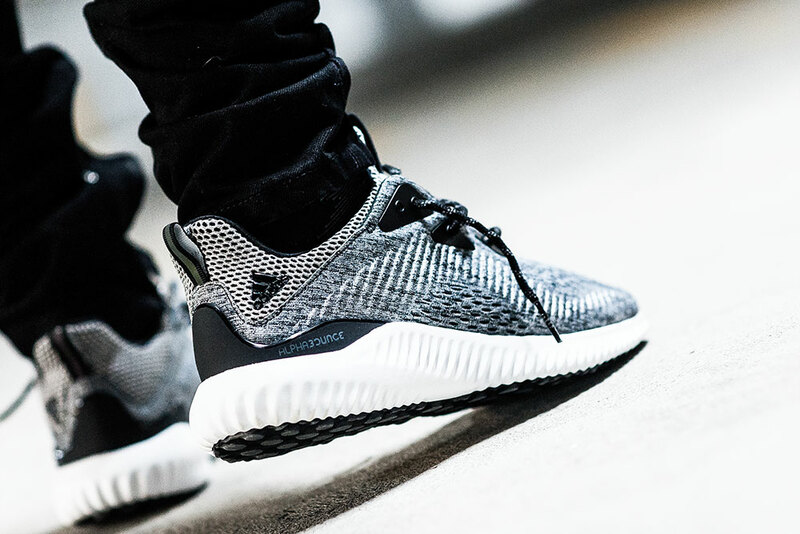 I guess if I were Adidas I would be sending Mr. West a few pairs of AlphaBOUNCE. 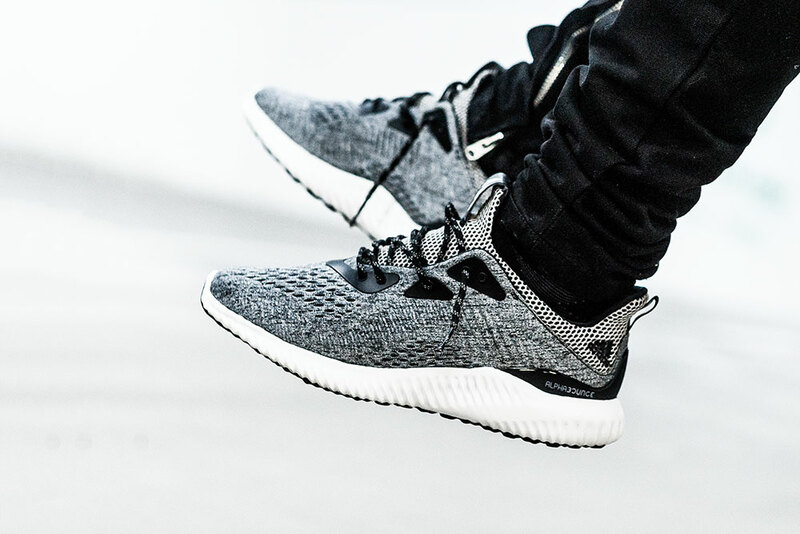 Regardless of hype or whether these continue to fly under the radar, I think they are a really tight shoe. 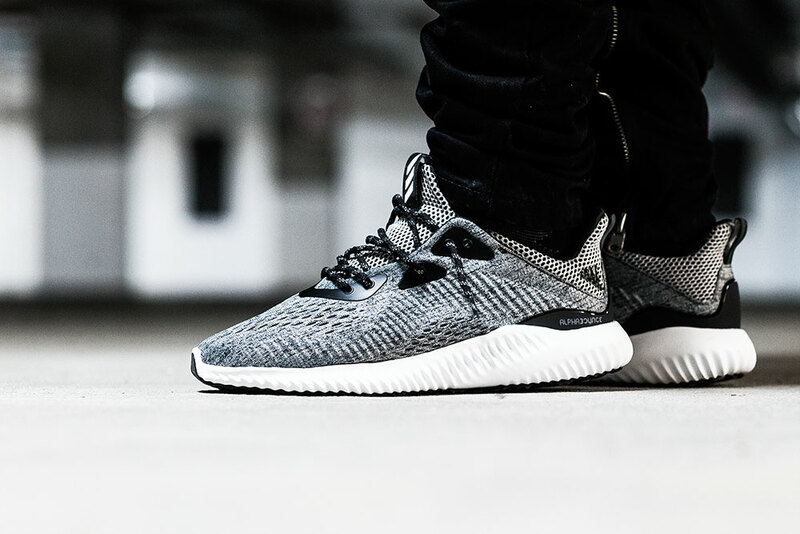 These Adidas AlphaBOUNCE are currently available from JD Sports in four iterations. There are two colour blocked options Earth and White, I am a big fan of the Earth release. They also come in two contrast CWs, Grey featured above and Black. Definitely worth a look if you are after an all purpose runner for your rotation.